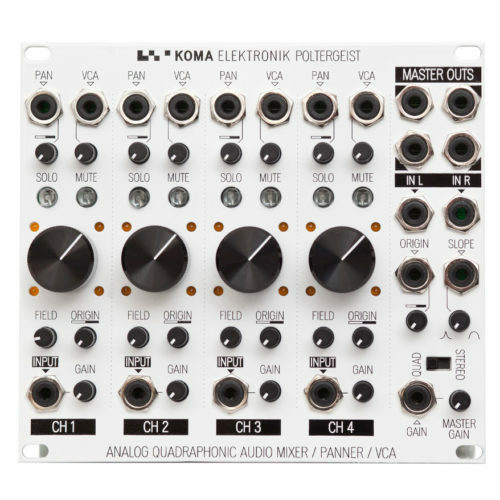 The KOMA Elektronik Poltergeist Analog Quadraphonic Audio Mixer / Panner / VCA is unlike any other eurorack module that has previously existed. 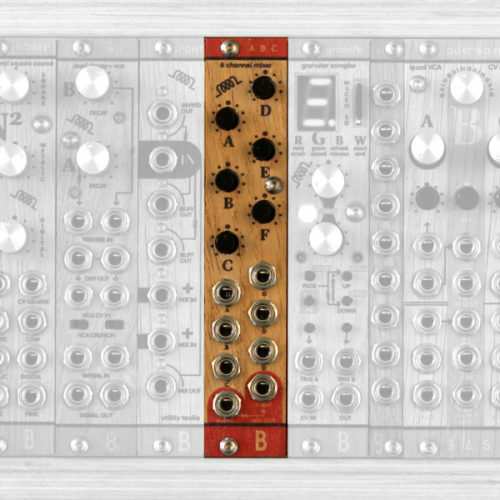 Previously you would need multiple modules from various manufacturers to achieve something similar to what we perceive as quadraphonic sound. But now with one single module, you can mix and control signals quadraphonically with complete control and beyond. Four channels each with its own VCA, plus a stereo auxiliary input, are mixed out to four separate outputs enabling the user to manipulate signals both stereophonically and quadraphonically in entirely new and ghostly ways with its 21 ins and outs, 48 analog SSM VCAs and unique hands-on mixing features.